We have wide range of services to offer in every sphere of the Hospitality Industry. Our wide spectrum encompasses the whole of India as well as most of the globe. And we pledge to making holidays memorable and even better. 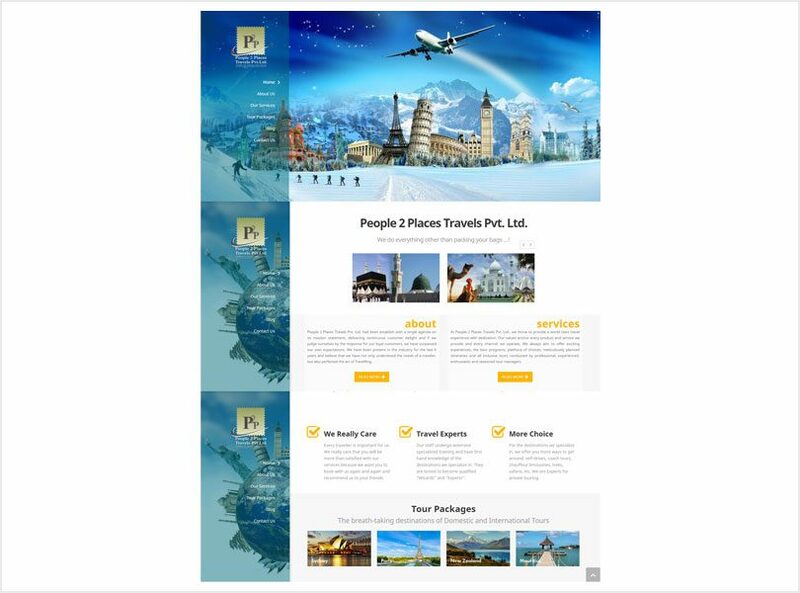 The core specialty of our company is that we provide our customers with a wide range of choices as well as packages for every purse, hence creating unique concepts to cater to travelers’ ever-evolving needs. People 2 Places Travels Pvt. Ltd. had been establish with a single agenda on its mission statement, delivering continuous customer delight and if we judge ourselves by the response for our loyal customers, we have surpassed our own expectations. We have been present in the industry for the last six years and believe that we have not only understood the needs of a traveler, but also perfected the art Traveling. We offer plethora of choices and deliver the best of monetary value in addition to travel comfort. We pride ourselves a pioneer in the educational arena-from field trips to industry visits; from domestic to international travels. We think its safe to say that we have done it all.